OCQUETEAU will be at Grand Pavois boat show : Pontoon 2 - 10 from the 28th of September to the 3rd of October 2016.
our OSTREA 600, Outboard Pilothouse, in a semi-PRO version, equipped with a Mercury 115 PRO CT Sea and a Fleet Geolocalisation System. Our TIMONIER 625, Inboard Wheelhouse, equipped with a Yanmar 110 hp, inaugurating the new inside and outside finishing on our Wheelhouse Range. Your TIMONIER 725, Outboard Wheelhouse, the most powerful in its class with its exceptional hull and engine EVINRUDE G2 200 hp. You will have the opportunity to test these boats by appointement with your dealer, every day, late afternoon. 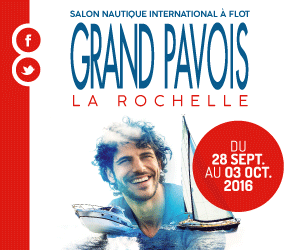 We will meet you at La Rochelle with great pleasure!